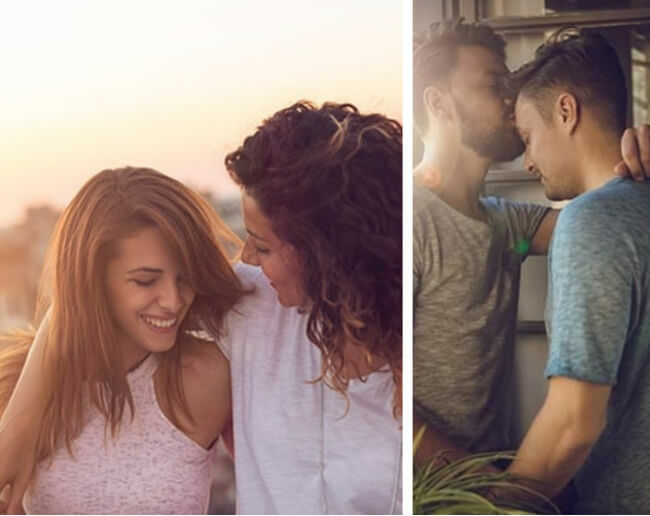 Compatible Partners is a gay and lesbian dating site that looks to go beyond hookups, and focuses on serious relationships. The site can get the conversation flowing with the guided communication features and has a number of security measures in place for safety. It also uses a relationship questionnaire and matching technology developed by eharmony to increase your odds of finding true love, or at least something worth writing home about. On Compatible Partners you’re required to complete a lengthy signup process when starting out. The relationship questionnaire could take you around a half hour or so to complete and while that may sound like a hassle, it really is worth taking the time to do it right. Your answers will be used to create your personality profile, which will form the basis of how the site picks matches for you. You’ll answer questions that deal with your education, employment, religion, and physical attributes, before heading into questions about your likes, dislikes, and deal-breakers. After completing the test, you can browse other user profiles for free, but if you want to communicate with anyone you’ll need to purchase a subscription. The site uses your personality profile to find matches for you, which it then sends your way and you can decide whether or not to reach out. The matches come directly to your inbox on a daily basis and you can decide to click through and get in touch, or just wait for something more to your liking. The site is otherwise rather limited when it comes to manual search options. With Compatible Partners you can always reach out to other users with a message, or use the SecureCall feature in order to speak on the phone with another user without revealing your phone number. The SecureCall feature is a way to reach out to other users without having to make your phone number available. The RelyID feature verifies your identity and puts a little badge on your profile once you’re cleared. You can keep an eye out for other users with the badge to know they’ve also been verified. Compatible Partners routinely monitors account activity and “investigates all complaints of unusual, inappropriate or falsified accounts,” though it does not conduct background checks when accounts are registered. The site does use extensive security measures to protect customer data and transactions, including Secure Socket Layer (SSL). The 1-month price for Compatible Partners is higher than many of the competitors, but the site has a proven track record, and if you sign up for a 3 or 6 month plan, there are significant savings to be had. On the Compatible Partners help section of the site, you can find helpful information about your account and easily search for answers to a wide range of topics. If you didn’t manage to find an answer you can contact customer service by way of email or live chat. Compatible Partners is devoted to helping gay and lesbian singles find partners they really click with. The site uses the same compatibility tools to help narrow down the playing field to potential matches you’re more likely to find something in common with, and combines a number of handy communication tools to help get the conversation going. With Compatible Partners, you get a comprehensive platform that is devoted to facilitating meaningful relationships.